Lauren graduated from the University of South Australia in 2016 with a Bachelor of Human Movement, sport and exercise science. She then continued on to complete her Masters in Physiotherapy (graduate entry) at the University of South Australia. Recently graduating in 2018, awarded the Ruth Grant Prize for Academic Excellence for the 2018 academic year. Lauren has an extensive background in dance training. She began dance at age 4 and has trained in the styles of Classical ballet, Tap, Jazz and Contemporary. She also continued on to teach dance in all styles for 6 years at a local dance studio in Adelaide. Lauren has worked closely with Jen Guest over the years and is part of the SMART Dancer program, carrying out pre-pointe and pointe assessments and working closely with dancers of all ages and abilities to educate and help equip dancers with the skills and ability to reach their dance related goals. Lauren’s treatment approach combines hands on therapy and exercise. 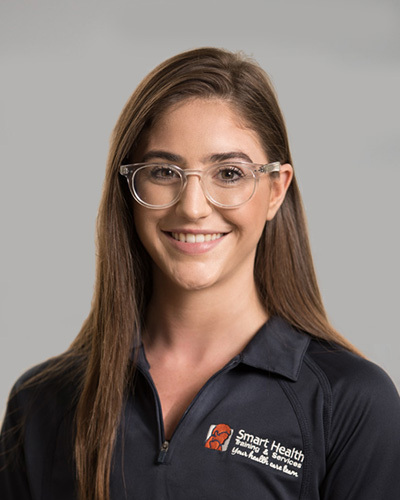 Lauren runs mat based and equipment based exercises classes at the clinic and has a passion for helping clients learn the capabilities of their body and to help them gain awareness and strength through specifically tailored exercise and movement.